I always wanted to join Daring Bakers.... but somehow never did till finally last month I signed up. My first challenge Povitica, which I had never heard of nor eaten in my life.... Daring Bakers October 2011 challenge was hosted by Jenni, of The Gingered Whisk. 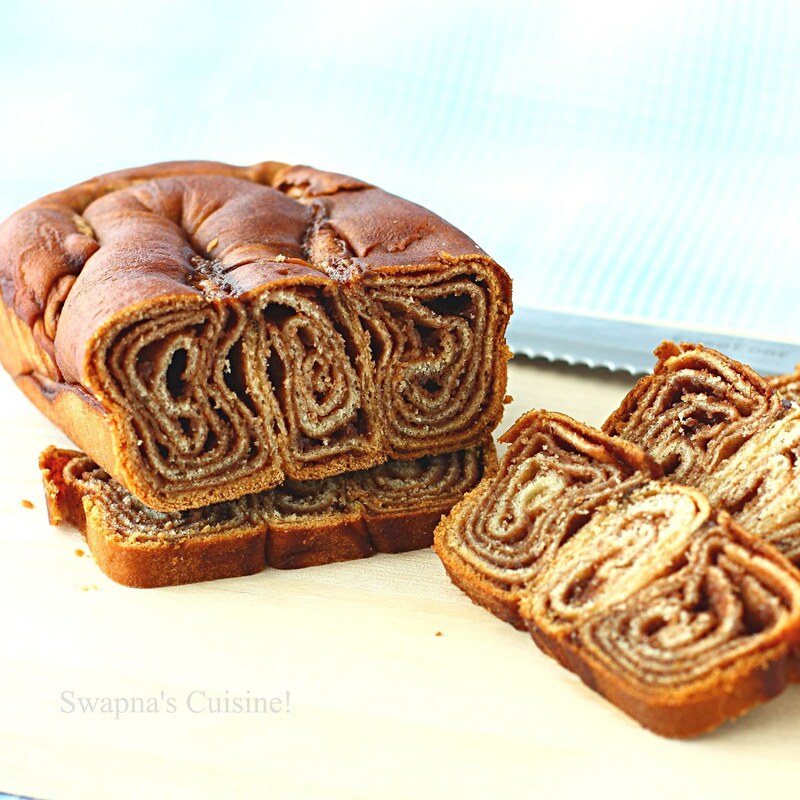 Povitica (pronounced po-va-teet-sa) is a traditional Eastern European dessert bread that is traditionally served during the holiday season. 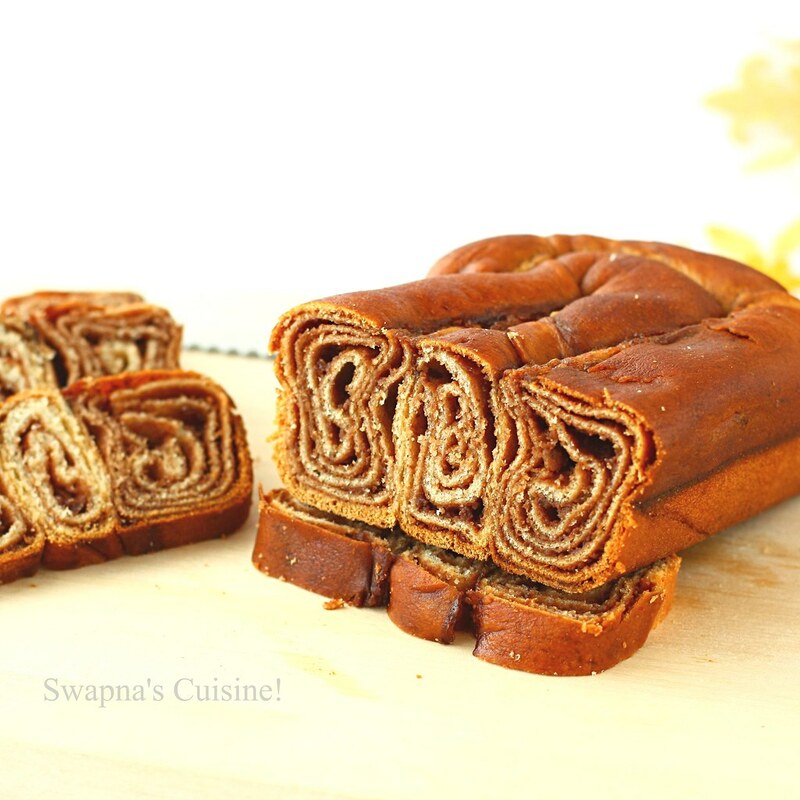 It is also known as Nutroll, Potica, Kalachi, Strudia, just to name a few. Family recipes, and the secrets on how to roll the bread so thin, were passed down through generations of families. The traditional filling for this bread is an English walnut filling, but other typical fillings also include apple/cinnamon, apricot preserves, and a sweet cheese (like cream cheese). 19. Spoon 1 to 1.5 teaspoons (5ml to 7 ½ ml/4 gm to 7 gm) of melted butter on top. 23. Spoon filling (see below for recipe) evenly over dough until covered. 25. Once the dough is rolled up into a rope, gently lift it up and place it into a greased loaf pan in the shape of a “U”, with the ends meeting in the middle. 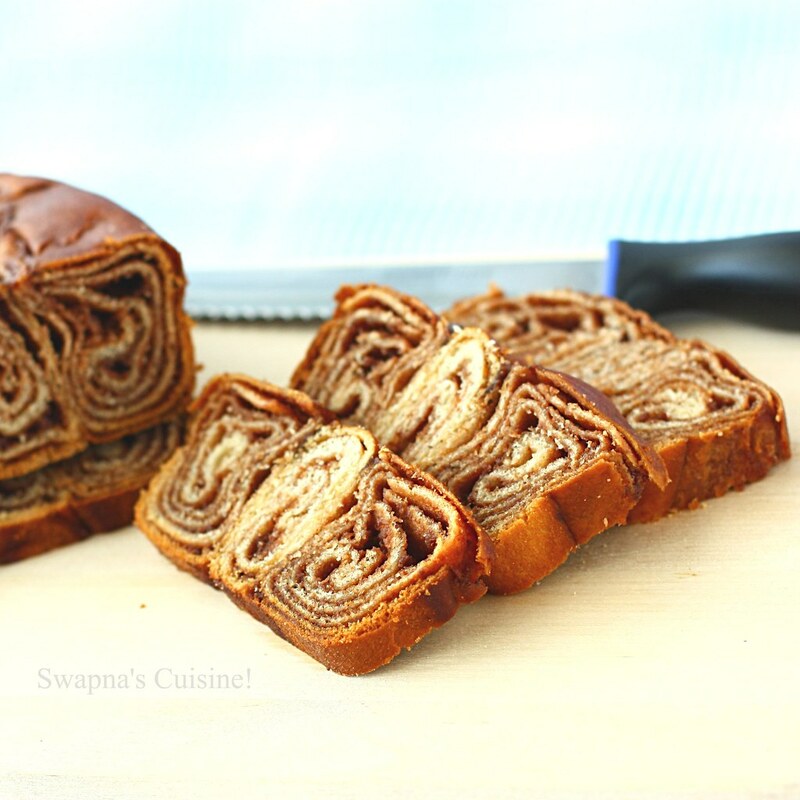 You want to coil the dough around itself, as this will give the dough its characteristic look when sliced26. Repeat with remaining three loaves, coiling each rope of dough in its own loaf pan. 31. Turn down the oven temperature to slow 300°F/150°C/gas mark 2 and bake for an additional 45 minutes, or until done. 32. Remove bread from oven and brush with melted butter. Vowwww!!! !Your first challenge got hit!! Congragulations in joining he DB. And the bread looks beautiful. welcome to Daring Baker!! so beautiful and amaizing job!! 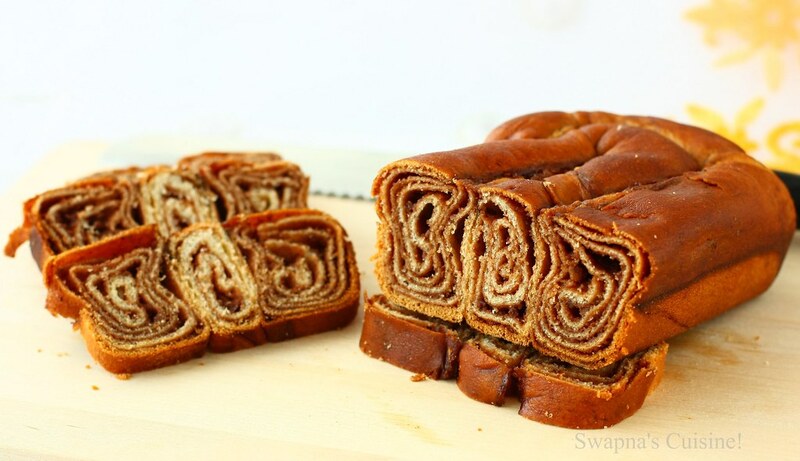 I love your povitica ! This is the best looking loaf that I have seen so far! Good job! Brilliant..can imagine how good it would taste...well done & Thank you ! 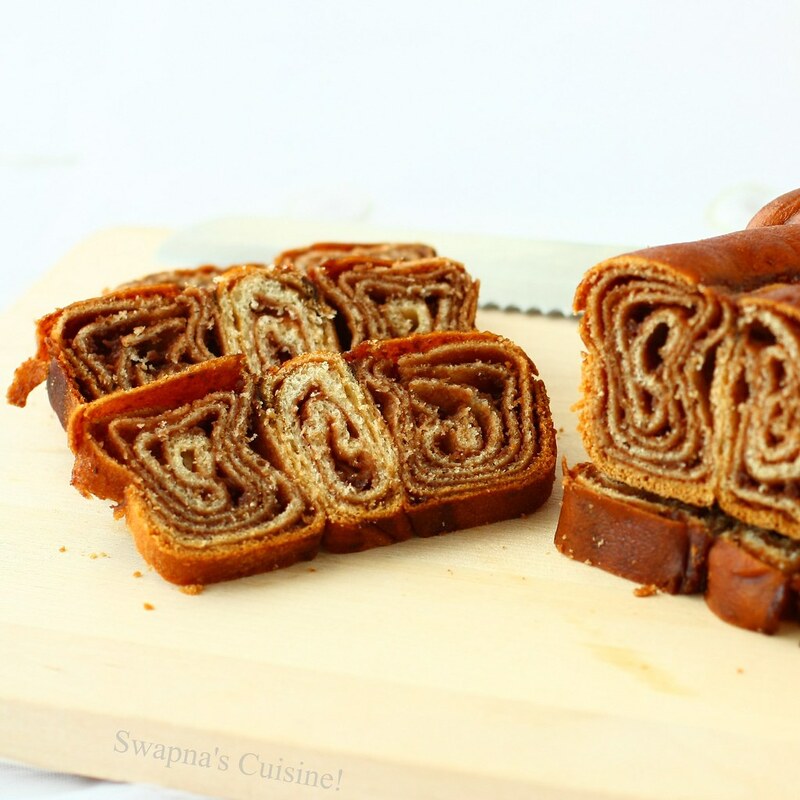 Hente ponne recipe kandittu thanne thala karangunnu!! SImply Awesome swapna!! 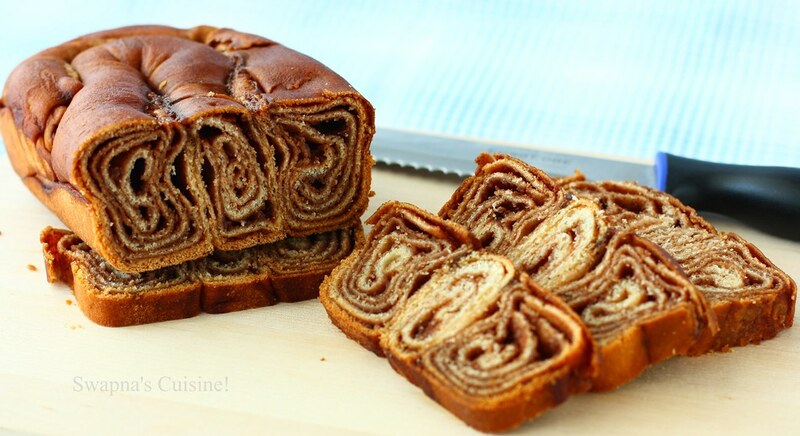 It's a good thing you joined the Daring Bakers because your povitica is the best looking one I saw submitted. I'm drooling over here! I made this last night…..it was so easy and so great.